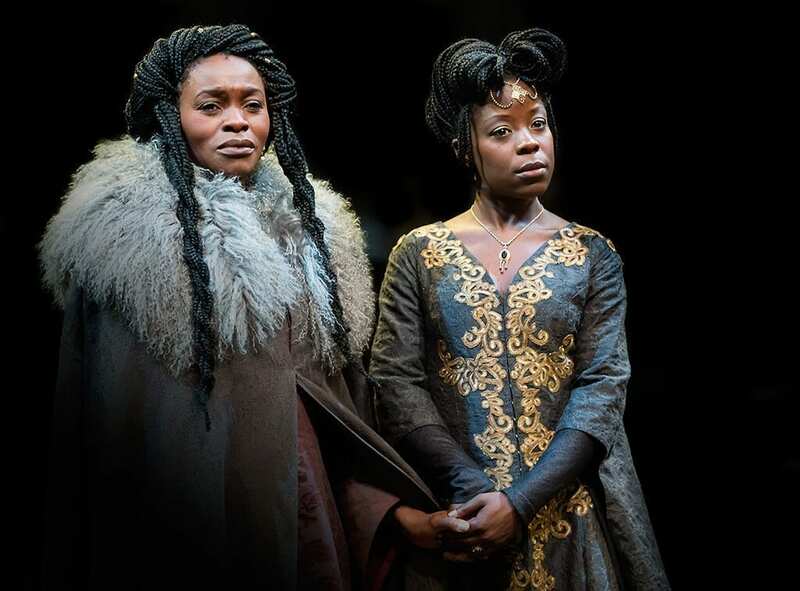 Shakespeare’s King Lear is the ultimate tragedy. Nowhere else can we see the violent abandonment of responsibility, the abuse of one’s parents, a swathe of lies and treachery, adultery, violent death, torture and mental decay in such a vast display upon the stage. What Talawa Theatre Company have done so well is manage to combine these unmistakable tragic elements with a cruel and twisted dark humour. Michael Buffong’s direction forces the audience to confront ourselves during cathartic scenes presented unflinchingly in front of us. Gloucester’s eyes are gouged in full view alongside blood dripping and decapitated eye ball, and there is no mistake. 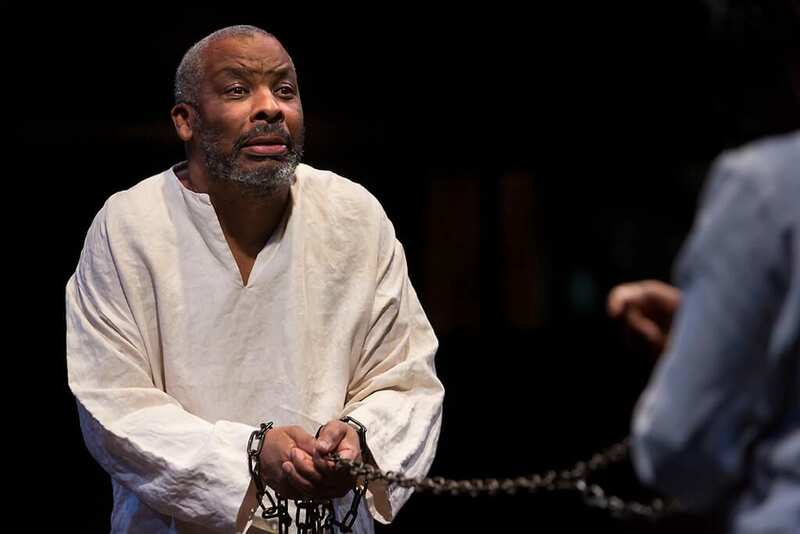 Don Warrington is a towering Lear, who presents a captivating and intriguing decay throughout the plays vast narrative. He is ultimately devastating as we see this helpless shell of the formerly powerful King animastically moaning over the body of his dead daughter, Cordelia (Pepter Lunkuse). He is foiled fantastically by his Fool – Miltos Yerolemou is poignant as he oversees the Kings decline, and hauntingly funny in his commentary. The devastating part is that he does not stay with the King through to the end, replaced by Alfred Enoch’s Edgar. Whilst Enoch presents two fantastic characterisations in Edgar, and Old Tom, it is hard to believe that it is Edgar pretending to be Old Tom, rather than an independent character in his own right. 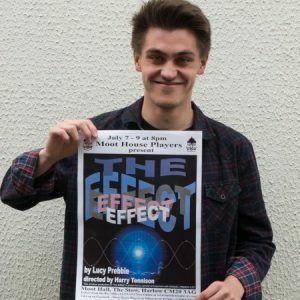 Fraser Ayres is snakelike and calculating as Edmund, whilst Thomas Coombes provides some superb comic timing in his performance as Oswald. 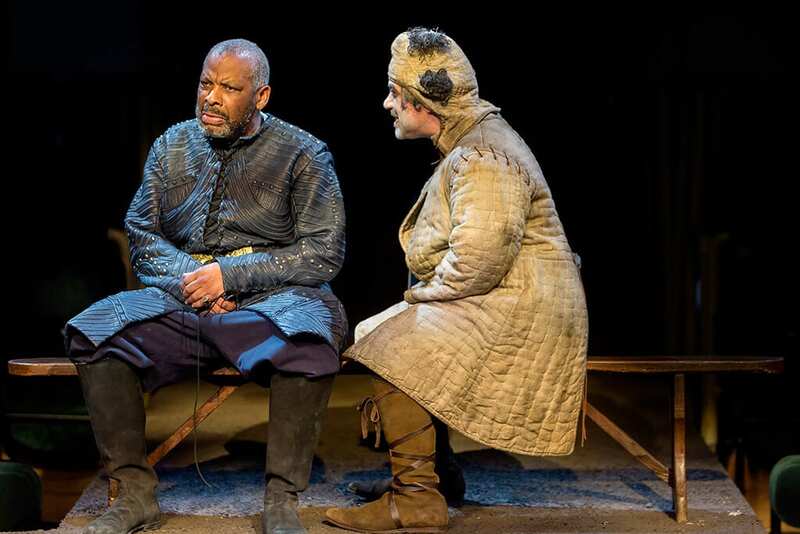 Yet Lear’s three daughters fail to make much lasting impression, whilst Wil Johnson’s Kent seemed misguided at times. 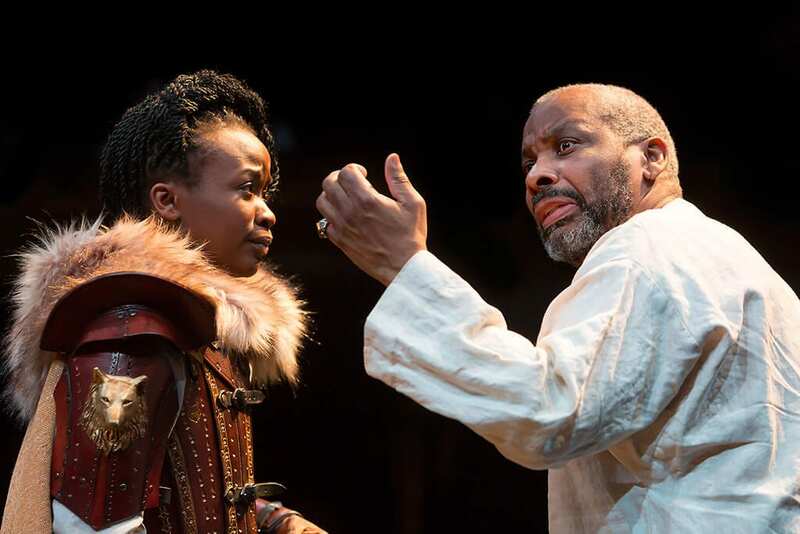 Tayo Akinbode’s sound design underscored the performance superbly, accentuating the devastating blow that Cordelia delivers to her father early on. Equally, Johanna Town’s lighting design helped to support Warrington’s dynamism as he took on the storm raging around him. This version of the play was essentially human, exposing the clear brutalities that we are capable of, and the horror with which we view them. 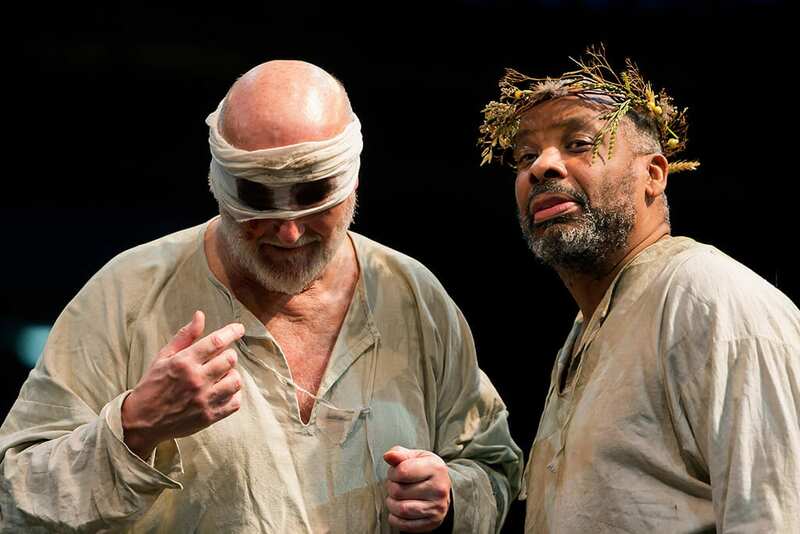 Don Warrington’s superb portrayal of the devastating decay of Lear, with Buffong’s direction ensuring we confront it, and then confront our own response.